Count on us at Waco Bounce House Rentals for all your party equipment needs, and yes, this includes essentials such as tables and chairs! 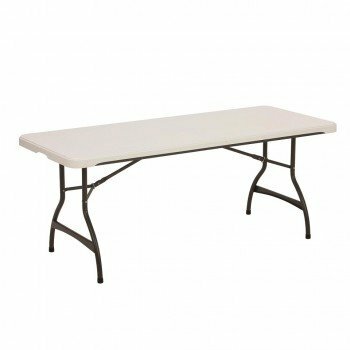 Our tables are foldable and feature collapsible legs for easy setup, and feature traditional white tops. Remember, we can tailor your rental package to accomodate parties of any size! Be sure to explore our other offerings to round out your package, and make your reservation with Waco Bounce House Rentals today! Our tables are 6 feet in length and will seat 6 to 8 guests each depending on spacing preferences.